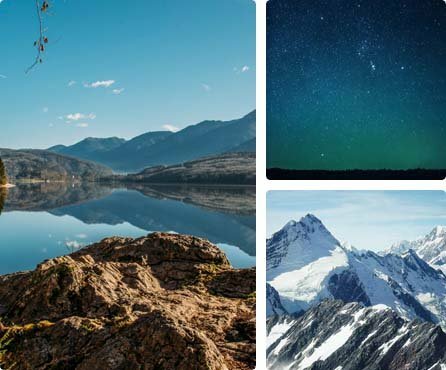 Do more with your photos using Yogile's easy-to-use storage platform. Store your photos in original resolution with our secure and easy-to-use platform. Get started by uploading photos to your new Yogile account. Not all projects can be handled on your phone's camera roll. Yogile has the next level of features when you need greater flexibility. Make your memories stand out by editing and touching up your photos using the many filters and effects. Yogile's web-based app means you'll have the same access and the same flexibility on any device, when and where you need it. Access photos from any device with unlimited secure storage, and share photos anywhere on the web in one easy step. Less than $4 a month ensures unlimited storage space for your photos. Check out our FAQ page for more details. With Yogile you'll have all the tools you need to share and integrate photos into an efficient workflow. Stay focused on the image, we'll handle the details. Share albums with friends and family, or keep an album private, and use passwords to allow others to view or contribute to a project. 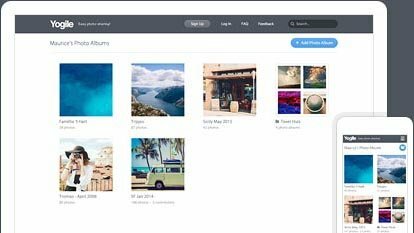 Allow friends and family to contribute photos via a custom e-mail address assigned to each album, and share photos easily on Twitter and Facebook.